Notes on Writing Weird Fiction is a short essay, written by H.P. Lovecraft, in which he explains his reasons for writing the type of story he has since become renowned for. It was written in 1933, four years before Lovecraft’s death on March 15th, 1937. Written in Lovecraft’s unmistakeable style, Notes on Writing Weird Fiction provides an enlightening glimpse into the mind of a horror master. Before detailing his writing process he makes a bow to the writers he considers masters of the ‘weird’ genre: Lord Dunsany, Edgar Allen Poe, Arthur Machen, M. R. James, Algernon Blackwood, and Walter de la Mare. In humble fashion, he refers to himself as an ‘insignificant amateur’. Create a brief story synopsis with events in chronological order, not necessarily as narrated. It is not necessary to write this out as this stage can all be done mentally. Write a second synopsis in the order of narration and with more detail. Feel free to change the original synopsis if it makes the story work better. Write the first draft following the second synopsis and, again, change what needs changing as you see fit. Edit the first draft for syntax, rhythm, tones, vocabulary, transitions, etc. ‘Prepare a neatly typed copy’, adding revisions if necessary. In Notes on Writing Weird Fiction, Lovecraft also illustrates how he thought of horror stories by dividing them into particular types and categories. One which expresses “a mood or feeling”. Another expressing “a pictorial conception”. The third expresses “a general situation, condition, legend, or intellectual conception”. A fourth explaining “a definite tableau or specific dramatic situation or climax”. Tales where “the marvel or horror concerns some condition or phenomenon”. Those where the horror “concerns some action of persons in connexion with a bizarre condition or phenomenon”. Some basic, underlying horror or abnormality – a condition, an entity, etc. The general effects or bearings of the horror. The mode of manifestation – an object embodying the horror and the phenomena observed. The types of fear-reaction pertaining to the horror. The specific effects of the horror in relation to the given set of conditions. 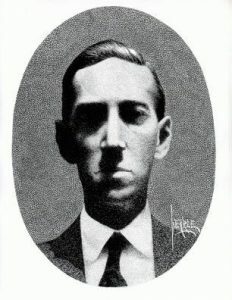 ‘Notes on Writing Weird Fiction’ can be read in full at HPLovecraft.com.